Leadership 2030 presents six converging megatrends that will reshape businesses by the year 2030 including the forces of globalization 2.0, environmental crisis, individualization and value pluralism, the digital era, demographic change, and technological convergence. 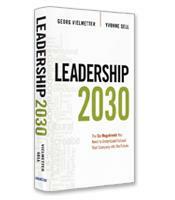 Authors Georg Vielmetter and Yvonne Sell use research and analyses to explain the transformative effects of the megatrends on leaders and their organizations and what leaders will have to know. 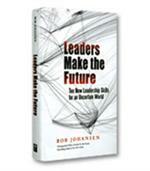 How the six megatrends will impact every organization. Why leaders will need to focus on the diversity of employees and consumers. The importance of being an altrocentric (rather than an egocentric) leader who is prepared to face new global and environmental challenges.